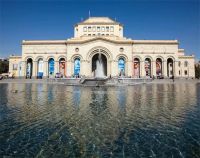 Armenia’s first Hyatt is to be located in the country’s capital city Yerevan. Hyatt Place Yerevan is the third Hyatt Place hotel under development in Europe, joining Hyatt Place Amsterdam Airport and Hyatt Place Zurich Airport. In spite of its well publicised financial problems Air France is continuing to expand its international long haul services. 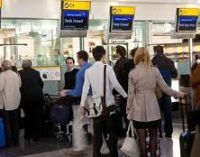 British Airways has launched a customer identification programme which it claims is set to take recognition to a whole new level, even enabling its staff to put a face to the name before the travelling customer sets foot in the airport. Just over 10 years ago Virgin Atlantic inaugurated a three times a week service between Gatwick and Las Vegas (the best ever intro – Editor) which is now daily. It also flies twice weekly from Manchester. bmi did for a period too. 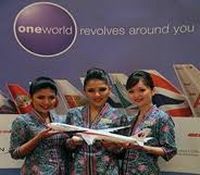 Malaysia Airlines will become a full member of oneworld airline alliance from Friday 1 February 2013. The national airline of Malaysia received clearance to join after successfully completing a thorough review of its readiness conducted by Qantas, which is sponsoring its entry into the alliance, together with the oneworld central team. 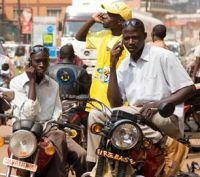 Ritesim.com, a UK-based company that supplies travellers with local pay-as-you-go sim cards, has identified the most expensive destinations for holiday-makers to contact home from, with the top five revealed as Uganda, India, USA, Thailand and China. 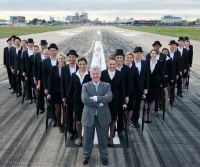 Coinciding with the introduction of a brand new uniform created by corporate uniform specialist Field Grey, Titan Airways has accepted the Best Passenger Charter Airline award at the annual Baltic Air Charter Association (BACA) awards luncheon at London’s Guildhall. 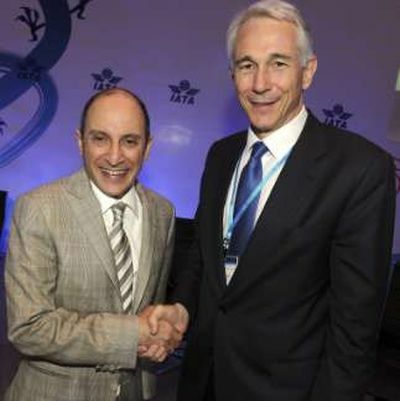 Akbar Al-Baker became Chief Executive Officer of Qatar Airways in 1997. Prior to his appointment he worked at the Civil Aviation Directorate of Qatar. He holds a degree in Economics and Commerce. "Just two weeks ago I was delighted to fulfil a request to address the Aviation Club of the United Kingdom at the splendid London home of the Institute of Directors. In fact this is the second time that I have been asked to hold forth to members. When I first spoke, back in 2004 Qatar Airways operated 33 aircraft. Today the number is 112 with 200 on order worth more than US$50bn. Together with its subsidiaries Qatar Airways employs 20,000 staff. We seem to be attracting invitations. I was recently voted to join the board of IATA, a great personal honour, and Qatar Airways itself asked by oneworld to become a member. We must be doing something right. I would like to think of myself as something of an anglophile. I was born in Qatar but educated in Bombay (Mumbai) at a British-style boarding school. People that know me are aware that I only say what I believe in. London has always been a very important destination for us and we now have five non-stop flights a day to Doha, and the best airport lounge at Heathrow. I have followed with much interest the debate regarding capacity constraints in the UK. I see the wheels are in motion once again on the whole South East airport issue with yet another government review underway. Too much talking will only lead to one thing – compounding the problem, not solving it. Heathrow is already losing out to European neighbours that have the resource to expand capacity. And of course in the Gulf we have ample space. We are already witnessing strong long haul traffic flows between Asia and The Americas by-passing Heathrow. I won’t mince words, but without solving these problems now, I can only envisage a catastrophic situation for UK Plc. You have just about managed to retreat from a double dip recession, but the UK cannot afford to dig its own grave and lose out on the tremendous opportunities being presented on a plate. 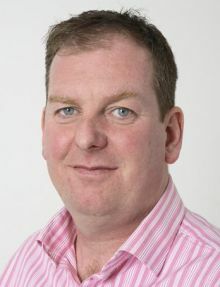 It is clear that without no immediate investment in an industry that continues to experience demand outstripping supply the inevitability is failure. The UK Government needs to tackle this head on. No aviation capacity increase will inevitably lead to further economic hardship with job losses and businesses closing down. Heathrow is bursting at the seams and, in my opinion, has reached a critical point. The Government cannot afford to immerse itself in long-winded debate and public enquiries. While the proposed Boris Island in Kent is a good idea, this is a project that will potentially take at least 20 years to materialise if the go-ahead is given today. Can the UK wait 20 years? During this period we will see airports expanding significantly across the Continent and of course in my region. UK Plc can ill afford this potential massive economic loss. A third runway at Heathrow is therefore NOT an option, it is a necessity. The infrastructure is already there. It only needs reshaping. The British Government must push through measures to prevent airlines from shifting their operations for the good of the country and to safeguard jobs and livelihoods. Qatar Airways would love to further increase capacity at Heathrow. Right now we are bilaterally constrained at Heathrow. But even if we were able to secure the extra flights, there is the small issue of slots. Hard to get as you know! Poor slots mean poor connections both at Heathrow and our Doha hub. As we prepare to move to a brand new airport next year the opportunities that will present themselves are enormous. Wider choice of 24-hour flight banks and more travel options. 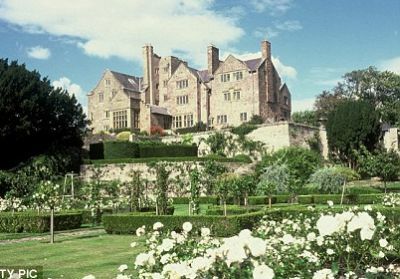 But to really take full advantage of our new home, we need more services from places like London to cater to the demand. Heathrow is a magnet that cannot be ignored. I see the seeds of this Government realising the importance of aviation. This shift of interest is vital and must be accelerated. Otherwise it is too late". Whilst attention has been focussed on the larger Airbus aircraft over the last couple of weeks with the A350 final assembly line inauguration and Singapore Airlines’ A350 and A380 re-orders, Airbus’ smallest family, the A320, reached two significant milestones. 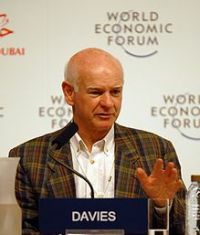 UK Transport Secretary Patrick McLoughlin has announced the names of a further five experts of a Commission chaired by Sir Howard Davies to examine ways of how the UK’s status as a leading global aviation hub can be maintained. 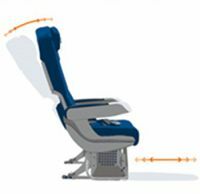 Economy Comfort is the rather odd name for a new upgraded European Economy Class introduced by KLM from 1 December. DoubleTree by Hilton has announced the opening of the seventh London property to join one of the UK’s fastest-growing, upscale, full-service hotel brands. DoubleTree by Hilton London – Marble Arch, is located in the heart of London, close to the Underground station of the same name, Oxford Street, Edgware Road, Selfridges, Bond Street and Hyde Park. The hotel offers easy access to fantastic shopping and all the main attractions and business districts of London. 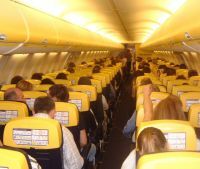 Another cost has been added to travelling with Ryanair with the announcement that it will extend its popular reservation service from four to six rows by adding rows five and 15 on all aircraft which will allow more passengers to hopefully gain their preferred seats on six reserved rows (1, 2, 5, 15, 16 and 17). It seems that the pigeons and crows at Gloucester Cheltenham Airport are not that keen on singing star Tina Turner. In a bid to keep the wild life off the runway as aircraft take off Miss Turner’s recordings are played loudly from the speakers of the runway patrol. The birds depart very sharpish. Clearly her warbles are unwelcome with some. Exactly 25 years ago, on 5 November 1987, HM The Queen officially opened London City Airport. Just a few days earlier Brymon Airways and its partner carrier Air France inaugurated services with a DHC Dash 7 turboprop flight to Paris. Today Air France is still on the Paris route, now Orly rather than Charles de Gaulle and with an Avro RJ jet. 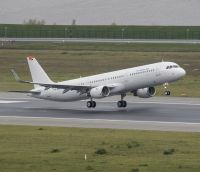 In its first year of operation four airlines offered flights to three destinations – Brussels, Paris and Plymouth. Today the airport is currently home to 10 airlines flying to 42 destinations across Europe, as well as a twice-daily New York service. 200,000 passengers in its first 12 months as against probably over 3m in 2012. To celebrate the anniversary the airport has announced a £15m investment programme with plans to refurbish the main pier with improved facilities, and a re-development of the international arrivals hall and baggage handling zones. Work will begin in early 2013. 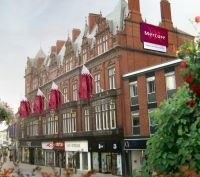 Four British hotels are set to open their doors as part of the Mercure portfolio before Christmas, further expanding the growing Mercure hotel collection and increasing the brand’s footprint to 75 hotels in the UK. 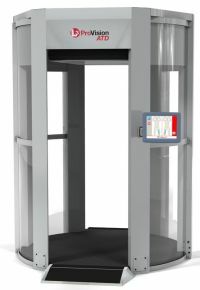 Stansted Airport has begun trialling a new security body scanner as part of the airport’s drive to enhance security procedures and improve passenger service. 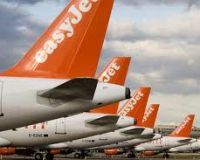 Now the UK’s largest airline in terms of passengers carried, easyJet has announced it will be introducing ten new routes for summer 2013 across the four London airports it serves – Gatwick, Luton, Stansted and Southend. With its new programme introduced today (Monday 29 October) Lufthansa is offering hourly flights on three of its domestic German routes: from Frankfurt to Hamburg, Munich and Berlin. For example, on weekdays between 06:00 and 20:00, flights from Hamburg to Frankfurt will depart every hour on the hour (e.g. at 10:00, 11:00, 12:00 etc). In the mornings and evenings, some twice-hourly services will also be operated. Departure times for flights to and from Berlin, however, will always be at 45 minutes past the hour. Foreign exchange specialists Moneycorp has created a partnership with Ryanair which will allow UK passengers to access currency swaps through the Ryanair website. Sixt, which is still run by the family who founded the business in 1912, has launched Flexi Rent – a specialised product designed specifically for corporate fleets. Flexi Rent allows low mileage users to have all of the benefits of contract hire without the long lead times and lengthy contract periods.